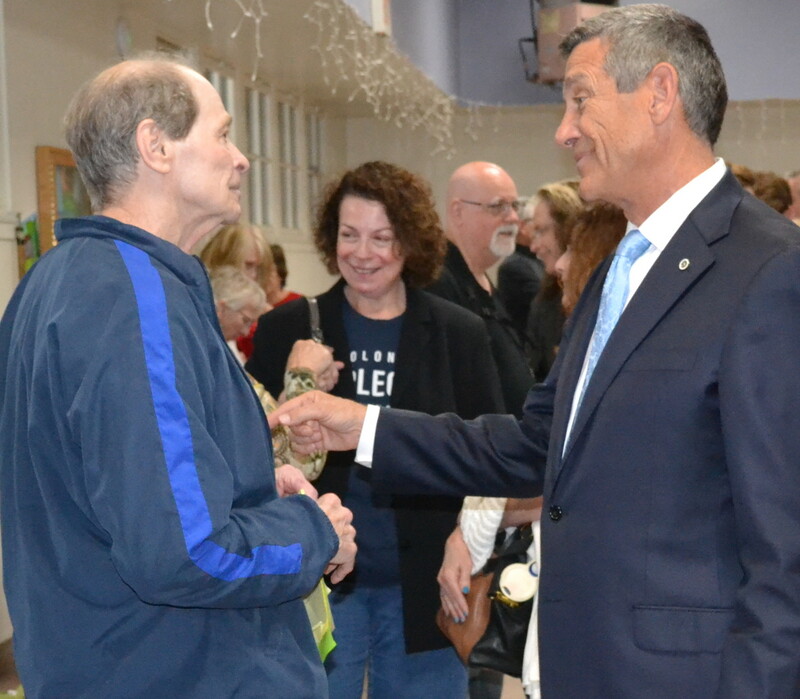 OCEANSIDE — Eleven of the 16 candidates running for the 49th District Congressional primary participated in a candidate forum May 15 at St. Mary’s School. Organized and moderated by the League of Women Voters, the forum was not attended by presumptive Republican front-runner Rocky Chavez or other Republican candidates Kristen Gaspar, Diane Harkey or Brian Maryott. Democrat Mike Levin also did not attend. Democrats Doug Applegate, Sara Jacobs and Paul Kerr, Republicans Craig Nordal, David Medway, Joshua Schoonover and Mike Schmitt as well as Josh Hancock (Libertarian), Jordan Mills (Peace & Freedom), Danielle St. John (Green Party) and independent Robert Pendleton fielded written questions from the crowd of around 150. The questions raised covered campaign funding and pandemic outbreaks to Oceanside homelessness and San Onofre’s spent fuel disposal. The crowded field offered wide-ranging views. There was a consensus on reform needed to campaign funding and Citizens United super packs and removing San Onofre’s spent fuel from the San Clemente site as soon as possible. The most telling question of the night involved the candidates narrowing their top two pressing issues for the 49th District and what would be their first piece of legislation. Republican Mike Schmitt focused on immigration reform and lowering the cost of health care, while moderate independent Robert Pendleton would seek to eliminate state licensing boards to allow a national system. Democrat Sara Jacobs chose universal health care and addressing homelessness. Democrat Doug Applegate warned of a run up to war against Iran as a primary concern. With registered voters in the district nearly evenly split between the Republican and Democratic parties, this year’s “jungle primary” of the 49th District could be a close call. The June 5 election will determine the two highest vote-getters — regardless of party — who will run for election to the seat in the November general election. The swing vote will come from an estimated 21 percent of undecided voters. Four of the 16 candidates are not affiliated with either Democrats or Republicans and are campaigning due to what they see as a broken system. Independent candidate Robert Pendleton expressed frustration at the two-party system that precludes him from being invited to some candidate forums or getting much media attention. Pendleton started his own party, K9, in 2016 as a response to having to “compromise my own values” to vote for one candidate or another. Running on a moderate platform eliminating gerrymandering and restricting term limits, Pendleton feels he has a shot at being one of those top vote-getters. “With such a large field, it might give me an advantage,” he said.